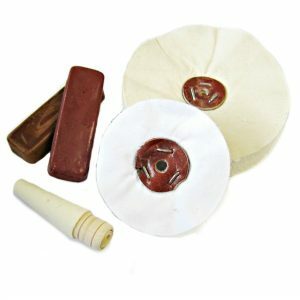 3M Radial wheels are a very popular product across all industries, particularly used in the Jewellery trade. 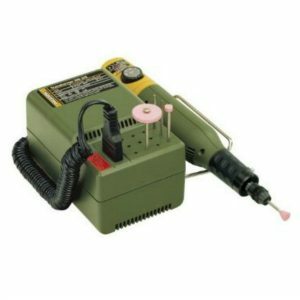 – the finer grades are used for polishing any metal surface. 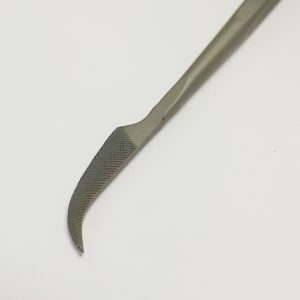 The Precision engineering fields use this tools for deburring and cleaning internal threads – 80g and 120g are the most popular for working on steels and aluminium. – the Radial discs leave a lovely finish and don’t over work the threads. they can also be used for cleaning bores and blind holes. due the flexibility of the wheels they can bend and flex to suite many deburring and cleaning applications. 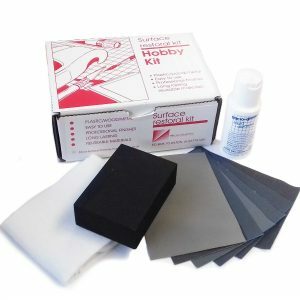 they are much cleaner than using other abrasives. Mandrels can be found here MM503 Screw Mandrel. 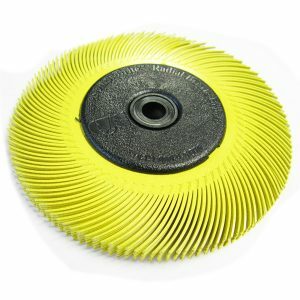 Radial discs are made of grit impregnated plastic, they produce a uniform finish throughout their life with no mess as no compound is necessary. 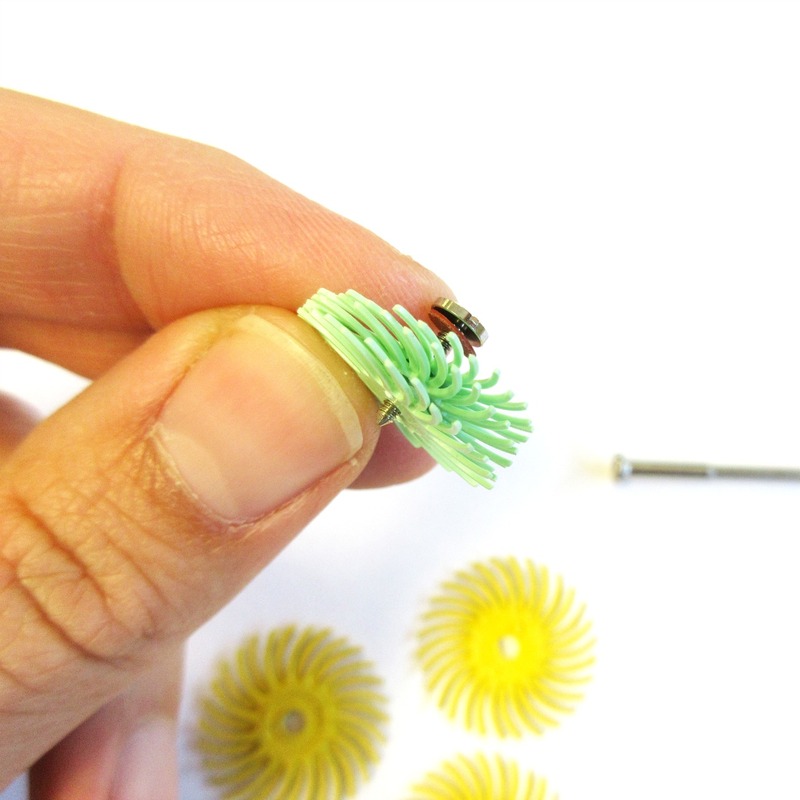 The flaps make these wheels cool running, non-loading and flexible- Ideal for getting into very fine detail. Wheels are helpfully colour coded to identify grit. 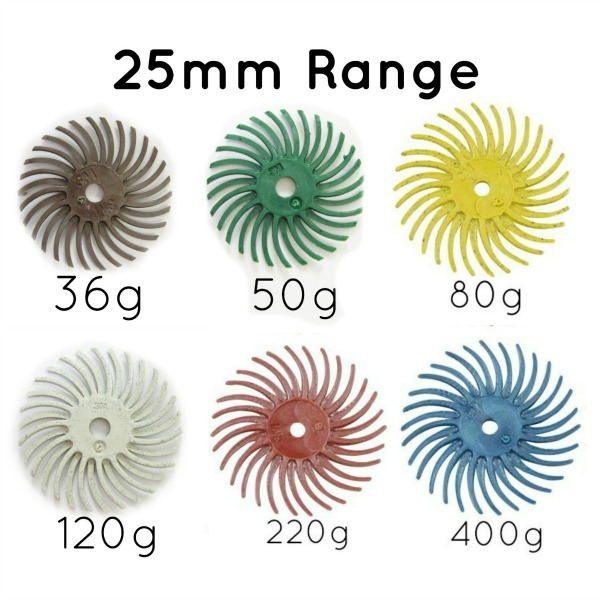 There are two different ranges for 25mm and 19mm radials. 36g – (Brown) Coarsest- for the most aggressive cut. 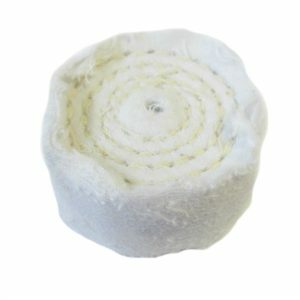 80g – (Yellow) Coarse for rapid scratch removal, very good for firescale removal on silver. Leaves a satin finish. 120g- (White) Coarse for scratch removal. 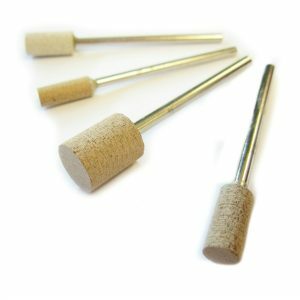 Pumice- (Pink) For very light scratch removal and deburring. Good for threads. 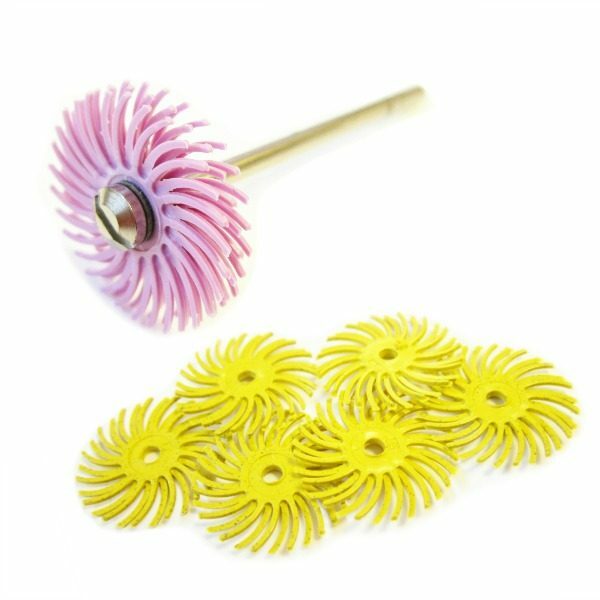 3M radial wheels are popular in the jewellery polishing trade where there is a great deal of detailed polishing. 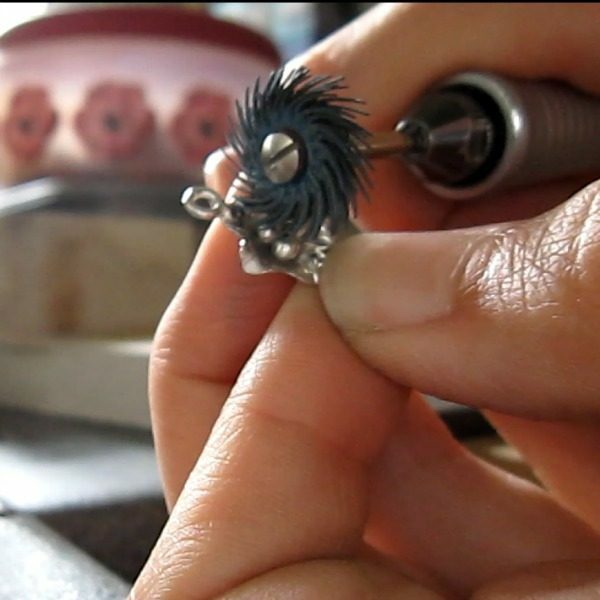 The 19mm wheels are perfect for small scale work such as this but are not limited just to precious metal. Radial wheels work on all metals and much like bristle wheels won’t lose the definition and crisp edges. 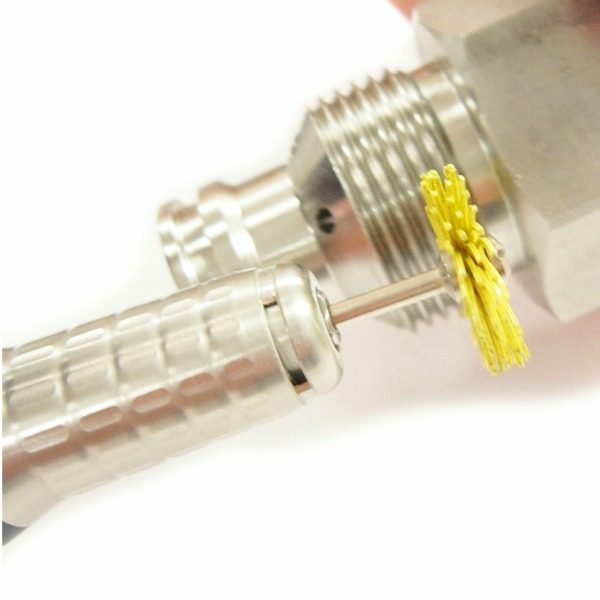 Ideal for threads and slots on Precision Engineering components. Useful where compound is not suitable. The wheels work with no compound to work from cut to polish even on hard metals. 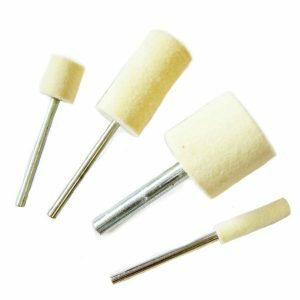 Suitable for polishing items which cannot be polished with compound containing animal fats or where items are not easily cleaned after polishing. Many Precision Engineers Use these discs in CNC machines for Automatic Deburring of precision components. 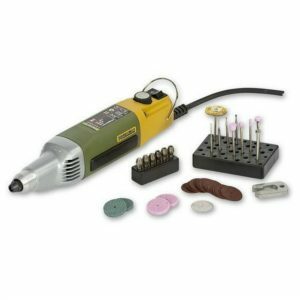 Excellent on Bores and threads for deburring, cleaning and polishing. 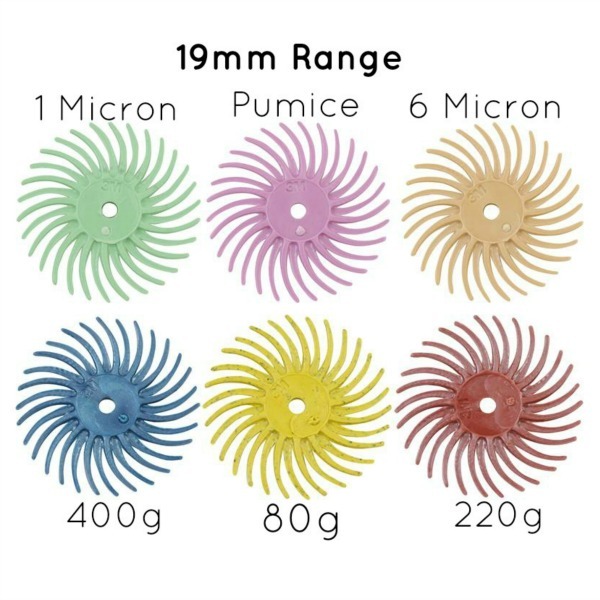 As these discs are cool running they are excellent for use on plastics, rubbers etc. 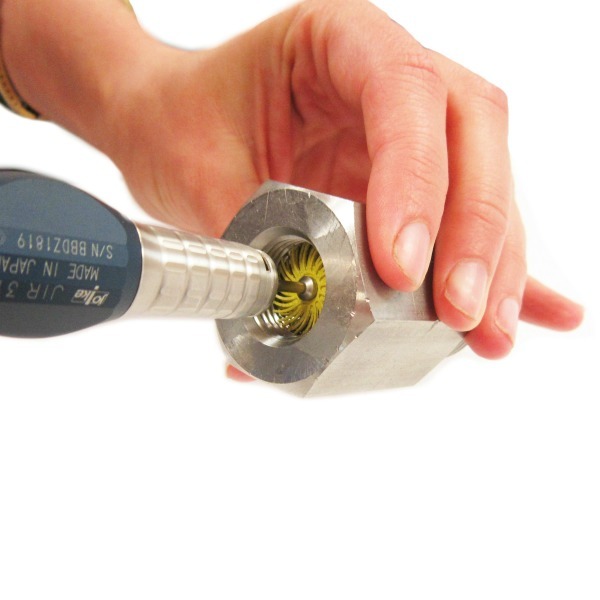 Use 19mm radial Discs with an MM503 Screw Top Mandrel. 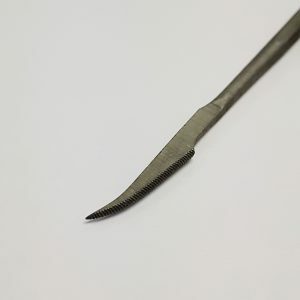 This screw top mandrel allows for several laps to be used, simply unscrew the screw top and fit your chosen number of laps before tightening the screw. We recommend 3+ wheels to be mounted for best results, we also advise not exceeding 6 laps for this particular size. Radials must face the correct direction to avoid snapping off the teeth. 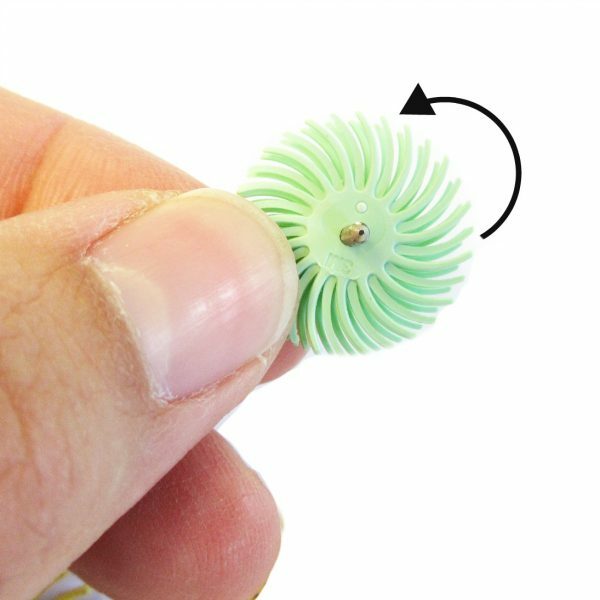 These mandrels are available on a 2.35mm and 3mm shank which are suitable for pendant motors, dremels, hobby tools, air tools and micromotors. Please check your particular tool for the size it will take.